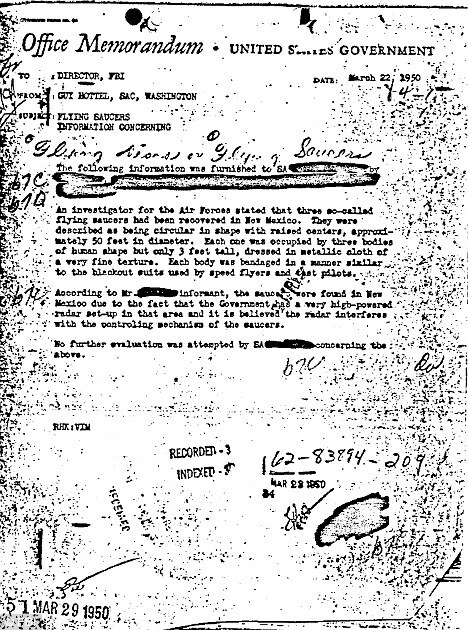 By now, many of you will have seen the FBI memo relaying admission of the details of the famous 1947 Roswell UFO crash. Though the memo itself has been known to researchers for some time, it has not been known to the general public until now. Check it out for yourself--no swamp gas or light reflected from Venus here.